The site was sold off in the 1960s and re-developed (with neighbouring buildings the British Legion, Miller's furnishing store and houses) to become the office block Capital House. The United Services Club were able to buy a haulage yard on Wivelsfield Road owned by the Andrew Brothers. The new premises were constructed by Thomas White and opened in 1973. Later on, two neighbouring houses were bought in order to extend the car park at the rear of the building​. 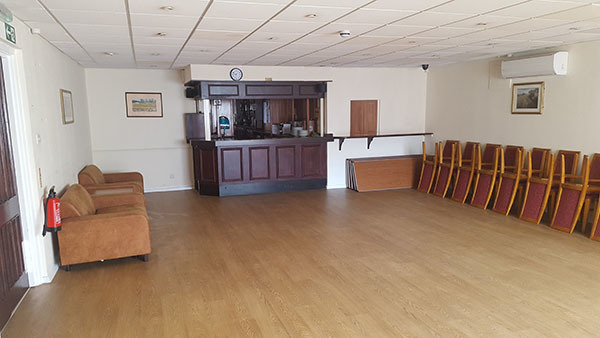 The United Services Club is now known as The Haywards Heath Social Club. Haywards Heath United Services Club was founded on 6th June 1921 after the Mid Sussex branch of the Comrades of the Great War was disbanded. A wooded area, where The Broadway becomes Perrymount Road, made way for the original club premises - a tin hut erected by ex-servicemen. The club was opened by Lord Leconfield (Lord Lieutenant of Sussex), who was recieved by Colonel Stephen R Clarke (President) and Mr W L Knowles (Chairman) with a guard of honour by members of "A" Company 4th Battalion Royal Sussex Regiment. Planning a party? Need a venue for a function? Or looking for fitness classes. We can help. With 2 function rooms, we can meet your needs. 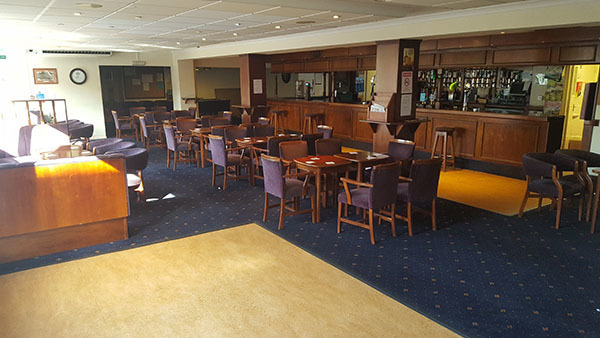 If you are having a small family get together or a large corporate event, we can provide you with a suitable venue. 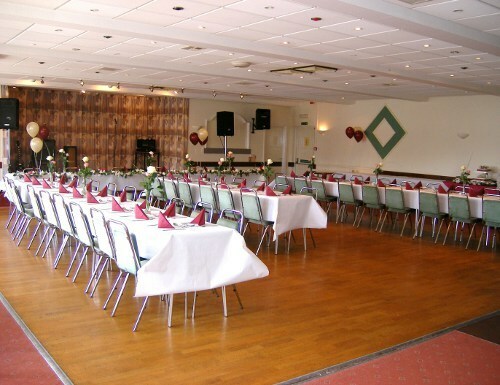 Our main function room can accommodate 150 people. 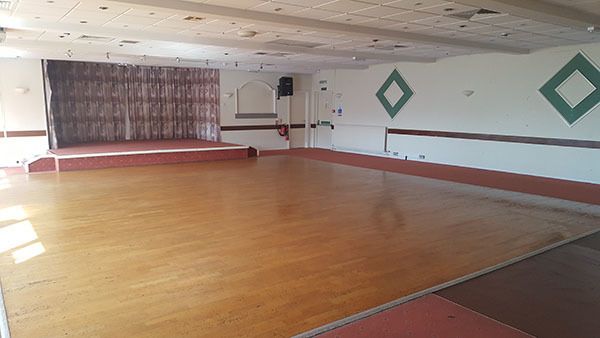 It has it's own bar and has a large dance floor, a raised stage and disco facilities. 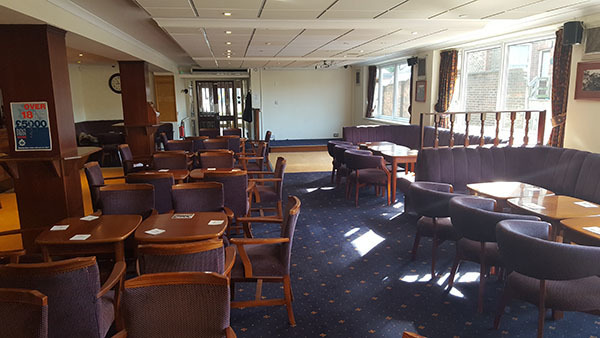 Our smaller function room can be used by 50 people and also has it's own bar. We host several fitness and exercise classes, both during the day and in the evenings. From Pilates to Intensity, there will always be a class to suit your needs and abilities. 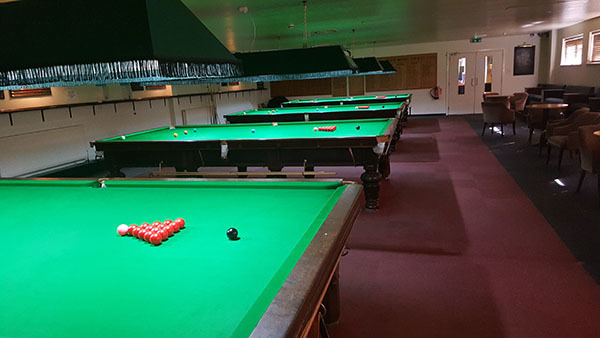 We have a large snooker hall with 4 full sized tables. 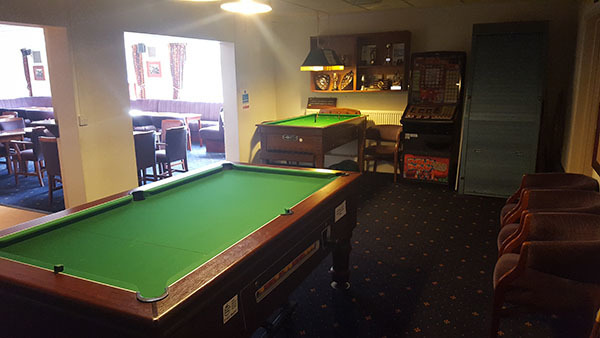 Bar billiards, pool and darts are also available. There is also off road parking for approximately 40 vehicles. 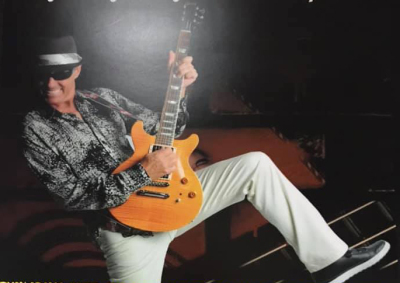 From live entertainment to sporting occasions, there is usally something happening at the club. We host a poker night most Mondays and there is bingo on Thursday evenings. Bar billiard league matches most Tuesdays and Wednesdays. League darts on Mondays and Wednesdays. Snooker matches on Wednesdays and Thursdays. Pool on Thursdays. Every Saturday night there is entertainment with some of the best local bands appearing. Rapscallion, Foul Play, Bootyshakers, Beagles, White Light and The R.P.M's will all be appearing in the upcoming weeks. Guests are always welcome but must be signed in by a member of the club. There is a small entrance fee. We also have quiz night on Sundays. Running now for nearly 30 years, this is probably the longest running pub quiz in the area. ​Below you can see some of the upcoming live entertainment at the club. ​This will be constantly updated so you know when your favourites are appearing. 4 May 2019 Epic 80's Guaranteed to fill the dance floor. Hits from Madonna to Kool and the Gang and everyone in between. 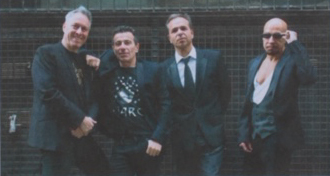 11 May 19 Foul Play A superb rock covers band who have played all over Sussex for the past ten years. 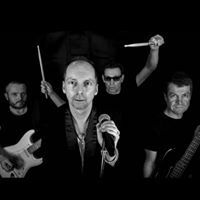 24 Feb 18 Re-Vamp A superb set featuring classic tracks by Led Zeppelin, Fleetwood Mac, The Eagles, Bowie and many more. 25 May 19 Free Disco Enjoy the evening with music to get you up on the dance floor. 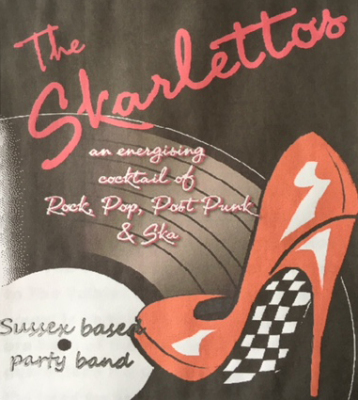 18 May 19 Third Time Lucky Great music with covers of Cliff Richard, Elvis, Status Quo, The Beatles and many more. Come join the fun for a charity race night on Friday 26th April. Racing starts at 8.30pm so come early to secure your spot and help us raise money for our annual charity. You don't even need to be a member. ​Just turn up and help a very worthy cause. 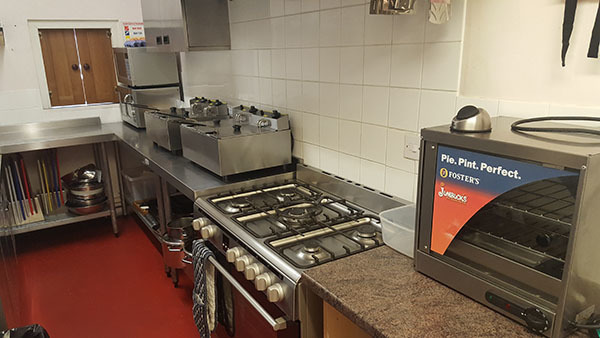 A few images of the facilities we have to offer. ​Please help us to improve our club and keep it going forward. Please click below to download a membership application form. For general enquiries call 01444 455885. For bar enquiries call 01444 451080. Or you can fill out the form below and we will get back to you as soon as we can.